When considering purchasing lake property, many potential buyers assume lakefront is their best option. 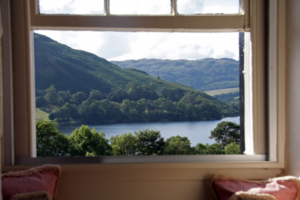 But for many buyers, there are other options to consider, specifically lake-view and lake-access properties. Lakefront property, of course, includes shoreline as part of the property, while lake-view property is within sight of the water but doesn’t include shoreline. Lake-access properties may not have a clear view of the lake, but do have guaranteed access to it, through either a dock or path. How do you know which kind of lake property is best for you? Most buyers gravitate first toward lakefront because of the convenience and privacy of living right on the water. However, after you factor in location and price, lakefront may not be the best option for you. First you need to figure out which is most important to you. Is it living right on the waterfront, sticking to you budget or finding the perfect neighborhood? As you consider these options, you will want to think about how often you will be visiting your lake property and how you envision the time you’ll spend there. If you have your heart set on a certain lake and have a tight budget, lake-view properties may be your best option. Prices will vary greatly from lake to lake, and each lake will have lakefront properties at a wide range of prices. Generally though, lake-view properties will be considerably less expensive than lakefront lots nearby. If you are open to considering several different lakes, you can often find lake-view property within your budget that is not available on more expensive lakes. An advantage to buying lake-view or lake-access property is that most can offer buyers the majority of the conveniences enjoyed by lakefront properties, but often at a fraction of the cost. When looking at lakefront property, the biggest advantage is that they are an increasingly scarce resource. After all, there is only a limited amount of shoreline on each lake. A lakefront property will appreciate most quickly, especially if the lake in question has historically low inventory of similar properties. Upkeep is a potential con when considering a lakefront property for purchase. The cost of upkeep from erosion, dock repairs and other weatherproofing expenses can certainly add up to a great deal. These are costs that you will incur the entire time you own the property, most of them can be avoided with a lake-view or lake-access home. You should also seriously consider how you plan to use the property and the activities you see yourself spending the majority of your time engaged in. If you love boating, you will want a house with easy access to a dock, whether your own on your property or a community dock nearby. If swimming is one of your favorite activities, a waterfront property may be best for you. You will need to consider the depth of the water surrounding your property, and if the lake is not at full pool year-round, what the variance has been historically. Swimming fans should also consider how rocky the bottom is near their shoreline, the amount of boat traffic and safety record for the area you plan to use. It is important to be mindful of the location you are considering. Some houses sit on main channels, which often have high levels of boat traffic. Others are tucked into quiet coves, more secluded and with less traffic. If you are someone who loves a busy lake and enjoys having people around, then a main-channel lakefront property could be ideal for you. But if you prefer a secluded spot, you may be interested in a property seated in a cove that could be either lakefront or lake-view. Whether your best choice is a lakefront, lake-view, or lake-access property depends on your unique needs and circumstance. Considering all of your options and knowing which property types are available in your area are important parts of the buying process. 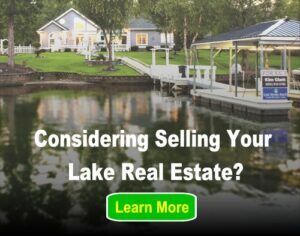 My husband and I are considering buying property on our favorite lake, but are curious to know how to determine for sure that we are ready. I like how you pointed out that one thing we need to keep in mind is the location of where the house. Because if we choose a house that is right on the water, we will have to remember that there might be a lot boats that will driving by. Right now, my husband and I are thinking about buying a home on a lake waterfront property. We want to make sure we choose the right home to provide us with a beautiful view and fun activities. Like you said, if we want to go boating often, we will want a house with easy access to a dock. Thanks for sharing!